Cocospy iOS Monitoring Pricing: Get Cocospy now! iOS no jailbreak monitoring solution. iOS no jailbreak monitoring solution for 5 devices. iOS no jailbreak monitoring solution for 25 devices. If you'd like to monitor an Android device, you need physical access to the device. But it's not necessary if the iCloud backup is activated and the 2-factor/2-step verification is disabled on a target iOS device. It is not necessary to jailbreak a target iOS device or root a target Android device before using Cocospy. Cocospy can be used to spy Android devices running Android 4.0 or higher versions and iOS devices running any version of iOS. Thanks for your interest in choosing Cocospy Premium Version. Unforunately part of the powerful features in this version are still under developing at the moment. Please choose our Basic Version. Want to buy with credit card? 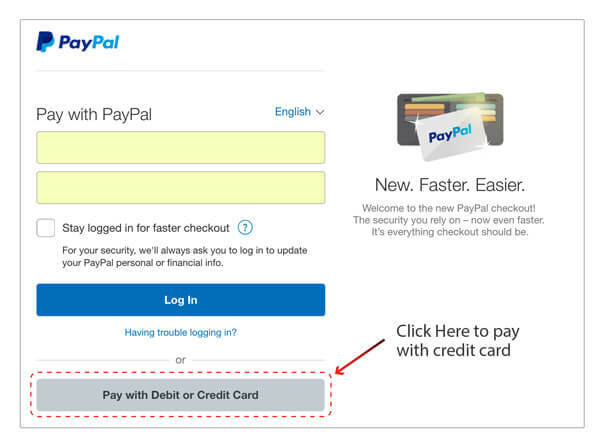 Please click the below PayPal button and follow the instruction in the below screenshot to proceed with credit card.